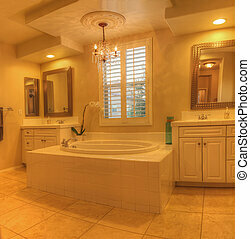 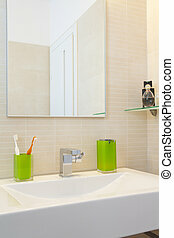 Feng shui bathroom. 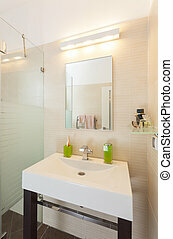 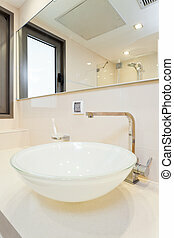 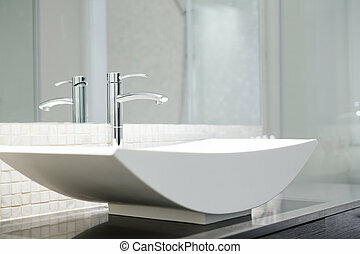 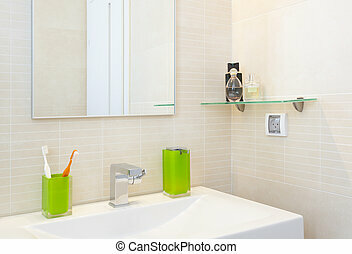 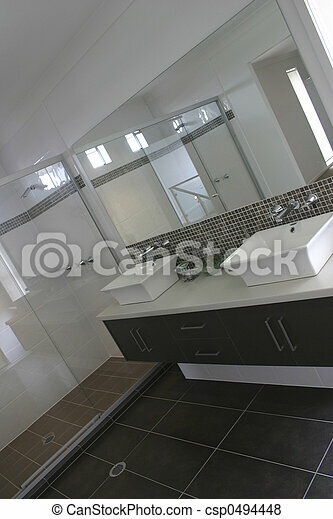 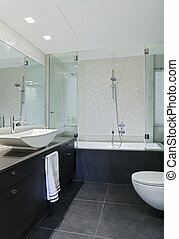 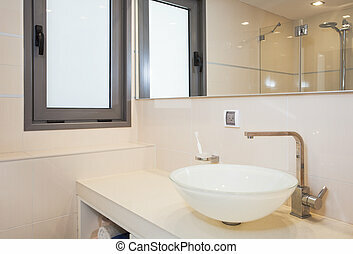 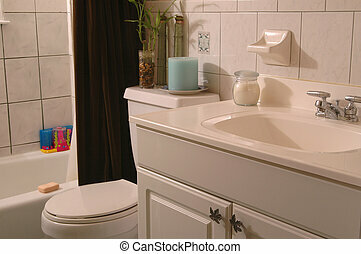 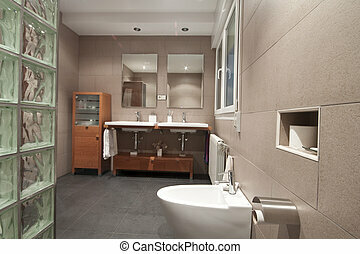 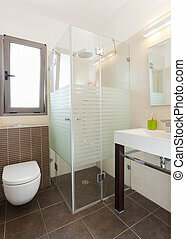 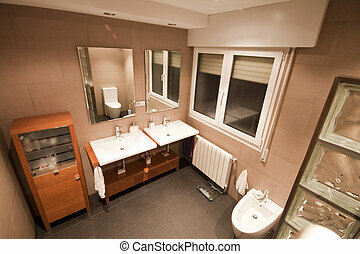 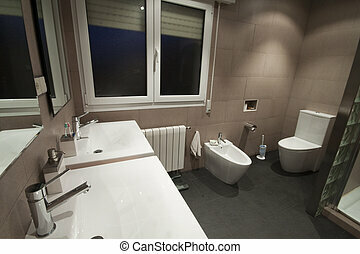 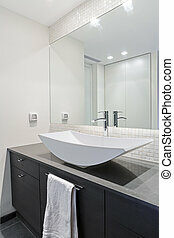 New bathroom design using feng shui principles. 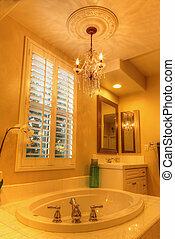 Irvine, CA, USA, August 19, 2016: Oval hot tub spa bathtub in a marble bathroom with feng shui decor and chandelier.